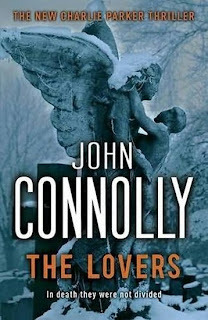 This is the first book of John Connolly I have read. I had done a Teaser Tuesday from this book a couple of weeks back and a review was long due. I had picked it up from the library after seeing it short listed in Bord Gais Energy, Irish Book Awards Books of the decade. It is a crime thriller novel with the story revolving around the protagonist, Charlie Parker. In fact it is the seventh of the Charlie Parker series & the ninth book to feature this character. Since, I haven't read any other book from the series, I was really not sure what to expect from the book. The title of the novel might be misleading if you are looking for a romantic thriller as it is not one. It is a altogether dark crime thriller and it is only towards the end of the novel, one will understand why the novel is named so. That adds to the charm of the novel as it keeps you thinking about it till the end. The story starts with Charlie Parker who is a private investigator but has lost his PI license and is under the scrutiny of the police. So, he takes up a job in a Portland Bar to earn a living while his lawyers are seeing that his license is restored to him soon. Charlie Parker has a disturbed past with his wife and daughter killed by a serial killer. And also, he has questions related to his childhood that need to be answered. This enforced break from his investigation work makes him look back to his own past and inquiry into the death of his father, who took his own life after apparently shooting two unarmed teenagers. In the quest of finding answers to these long buried unanswered question, Parker comes to know about some seriously disturbing truth about his own lineage. There are other plots in the novel which goes on simultaneously. There is a young boy who has been found dead in mysterious conditions. Her ex girl friend Emily Kindler suspects it has been killed by someone who has been haunting her from a long time. She tries to flee from this unforeseen threat. There is Mickey Wallace, a journalist turned writer who write true crime stories. He decides to write a biography of Charlie Parker and the various events surrounding his life since the death of his wife and child. And there are other forces too, two supernatural figures : a man and a woman who seem driven to bring an end to Charlie Parker's life. There are both first and third person narration in the book. Charlie Parker tells his own story while other plots continue in third person narration. It is only towards the end the reader comes to know the interconnection of the plots and that works for the story as it builds up the suspense. Connolly writing style is very fluid and he has a good grip on the story. He has very deftly depicted the anguish of Parker as he struggles to find answers to the darkest secrets about his own origins.The story reveals itself in bits and pieces and the supernatural elements adds a new dimension to the story. However, those elements are not fully revealed in the story and I am eager to discover them in the next sequel. There is a haunted feeling throughout the novel and a tinge of trauma and tragedy too. That is because the novel starts with a murder, the protagonist has a disturbed past and there are some disturbing incidents taking place through out the novel. 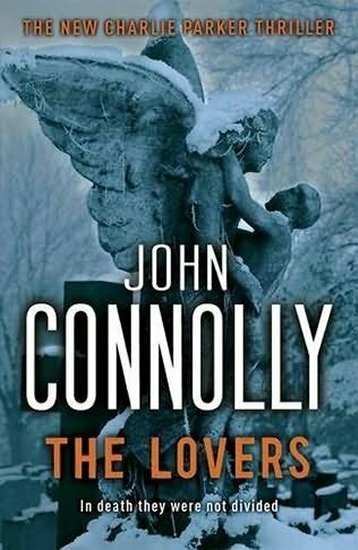 But all questions about Charlie Parker are not answered in the end and to know about the future one is lured to read the next novel in the series from Connolly. This is not the genre I read usually. So, it was a welcome change and I am sure to pick up the next novel in the series, "The Whisperers". If you like crime thriller, you will like it. Somehow I have stopped picking up crime thrillers completely but would recommend to some of the friends who enjoy this genre.